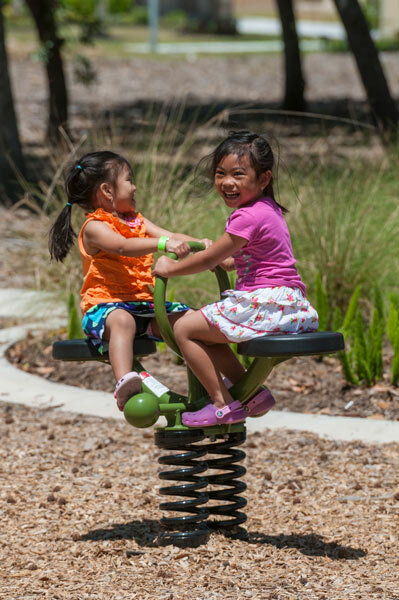 Nestled in a forested setting, Harmony’s Barefoot Park provides residents with a comfortable spot to relax, kick off their shoes and enjoy the outdoors. 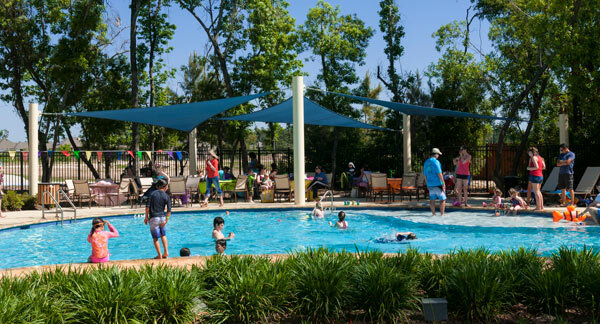 The facility’s resort-style pool offers a beach-entry lagoon, comfortable poolside seating and ample shade allowing for hours of family enjoyment. An adjacent splash pad with synchronized pop-jet fountains promises even more fun for kids of all ages. A community pavilion anchors the pool complex, providing the perfect spot for a children’s birthday party or an evening with neighbors in front of the outdoor fireplace on a cool winter night. Barefoot Park also features a multi-use SportCourt, tennis courts and vast open green space.